Jack Presto Band Ep' is a collection of 10 live reworked songs from Jack Presto's debut Lp 'A long way home'. Think of all your favurite musical styles: rock, hip hop, house, drum n bass, free jazz. Did you know that these were all pioneered by one band, Aether Flyer, way back in 1928" This group of extraordinary gentlemen invented such techniques as sampling, time stretching and circuit bending.,They also built the first ever electric guitar and a crude early form of the digital synthesizer. Aether Flyer's album, The Loose and Pasty Rootchunk Medley, was banned at the time by the establishment who found it to be offensive to public morals and a threat to powerful interests in the music industry. The band was forced to go into hiding in the Amazon jungle. Over the next eighty years, their technical ideas and stylistic innovations were copied by countless musical artists. Eighty years on, The Loose and Pasty Rootchunk Medley, was rediscovered and reworked under the expertise of Omnimoda writer-performers T.S Evinrude and Tom Sykes, musician-producer Rapid Keith, musician Alex Pace and artist Ben Batman. The intriguing result is this very album. Here you'll find original songs as well as tracks built around vocal samples of episodes from the band members' lives. Thus, The Loose and Pasty... is a concept album that tells a story. 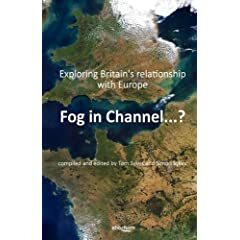 "Fog in channel - continent cut off" was a regular weather forecast in Britain in the 1930s. Is there fog between Britain and mainland Europe now? Metaphorically yes. This book seeks to clear it away through a series of fascinating views and essays. Is the continent cut off from Britain? Read the lively debates contained in this unique anthology to decide for yourself. Contributors come from a diverse range of backgrounds, including politicians from Charles Kennedy to John Redwood, Tony Benn to Michael Howard, as well as noted people from the worlds of education, business, journalism, science and the arts, including Simon Woodroffe, Judge Jules, Bill Deedes, Gerry Robinson, Zoe Readhead, Chas Hodges and many more. They investigate the issues of history, culture and changing value systems rather than offering any detailed analysis of political mechanisms. It is a balanced and accessible book exploring issues of human interaction and experience which will encourage readers to engage more fully and think more constructively about how the people of the UK address the future of Europe. World famous actor Sam Neill and rap legend Chuck D rub shoulders with writers like JP Donleavy and Carmel Bird. Physicists, business leaders, publishers, political activists, soldiers, poets, athletes and comic book creators are brought together by their common experience of hitching a ride sometime in the past. 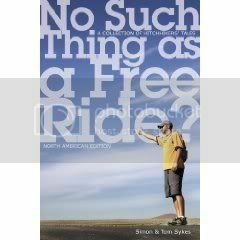 No Such Thing As A Free Ride? Since the '60s and '70s - the heyday of hitching - people have thumbed rides worldwide. Money never changes hands, but all manner of social transactions take place. These tales will open your eyes and take you back - of forward. Just when you think you've heard it all, turn the page. You'll discover you haven't! Featuring Alastair Campbell, Sir Max Hastings, Doug Stanhope and Mike Leigh.